Vanuatu's Prime Minister Charlot Salwai said that he had trust in his Ministers and all the backbenchers that formed his government. He made the statement during a custom reconciliation held last week in the Prime Minister’s office between him, his Public Utilities and Infrastructure Minister and leader of the Leaders Party Jotham Napat and Joe Natuman as the leader of the Vanua’aku Party. He said their meeting, Napat performed a custom reconciliation for his comments as a State Minister opposing the government’s consultation on income tax that threw intention on a possibility of a reshuffle within the government. 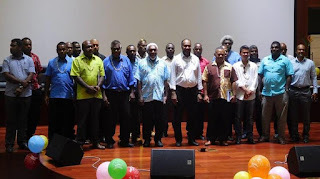 Pasifik News reprots in a statement, the government spokesperson Hilaire Bule said in return, Prime Minister Salwai and his Deputy Natuman also said sorry to Napat for any word that might harm the members of the Leaders Party. Salwai said he trusted the members of his government to stand together and make a change for the betterment of this country. 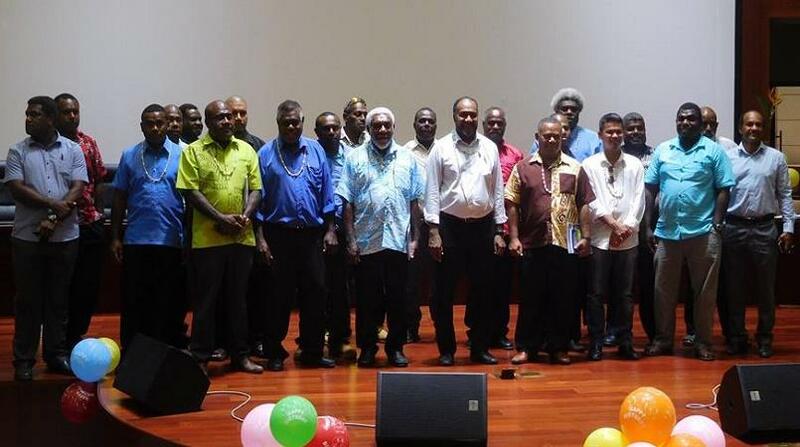 He said that unity and stability within the government is very important towards the development and service delivery to the people of Vanuatu and he thanked all the government Ministers and MP’s who stood with him despite criticism, the current government celebrated its one year Saturday (February 11). He said the coalition government under his leadership today has been made of many political parties and it is not an easy task to manage it but he said all leaders within the government were born in custom. PM Salwai said in some other countries, they have guns to solve issues but he is glad Vanuatu has its own way to resolve issues that includes constitutional and custom fashion. He said the government of the day is made of old and young politicians that have a rich educational background and the country needs them together to join hands.